All Spirit Journey Amulets come with a personal leather bag. 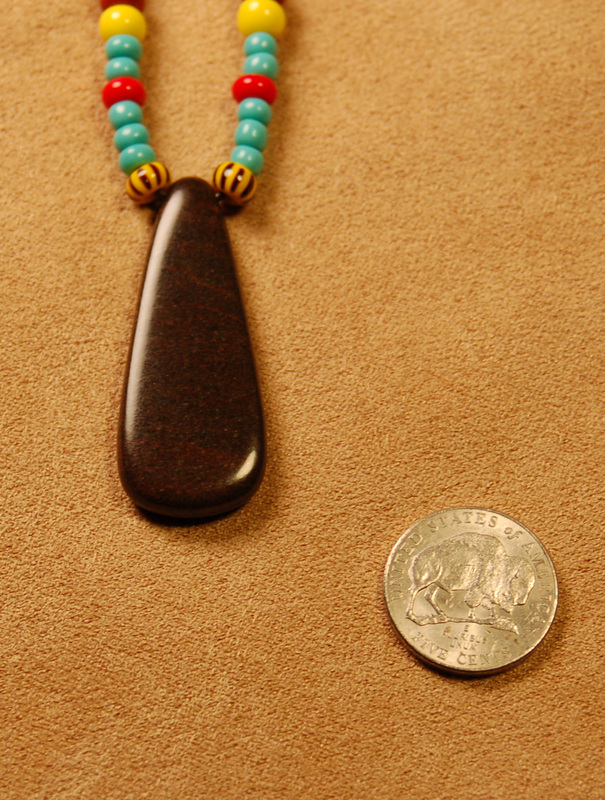 Ebony Sacred Pipestone with buffalo and glass beads on leather string. Comes with a bead in the back for length adjustment. Bone and glass beads on leather string, bead in the back for length adjustment. 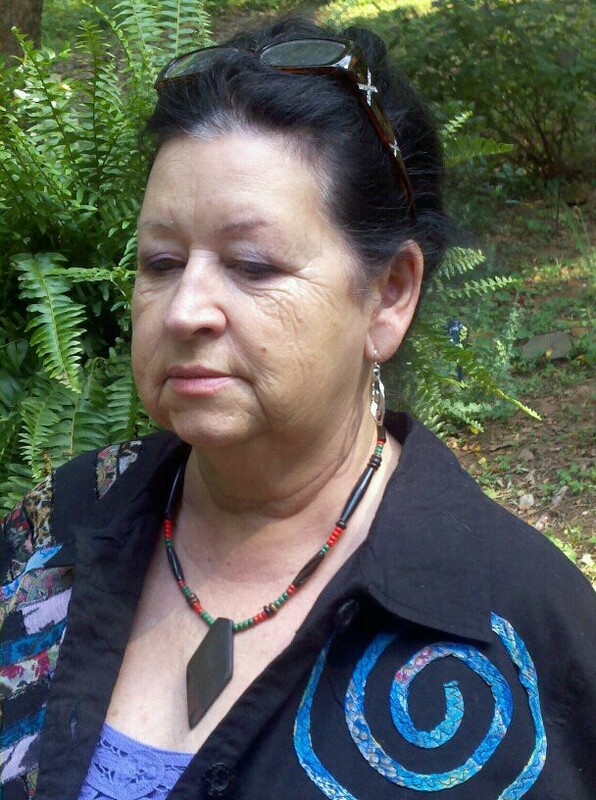 This is the last amulet available that I sat down with Grey Eagle with. He held and blessed the carving. It was made a couple of years ago. 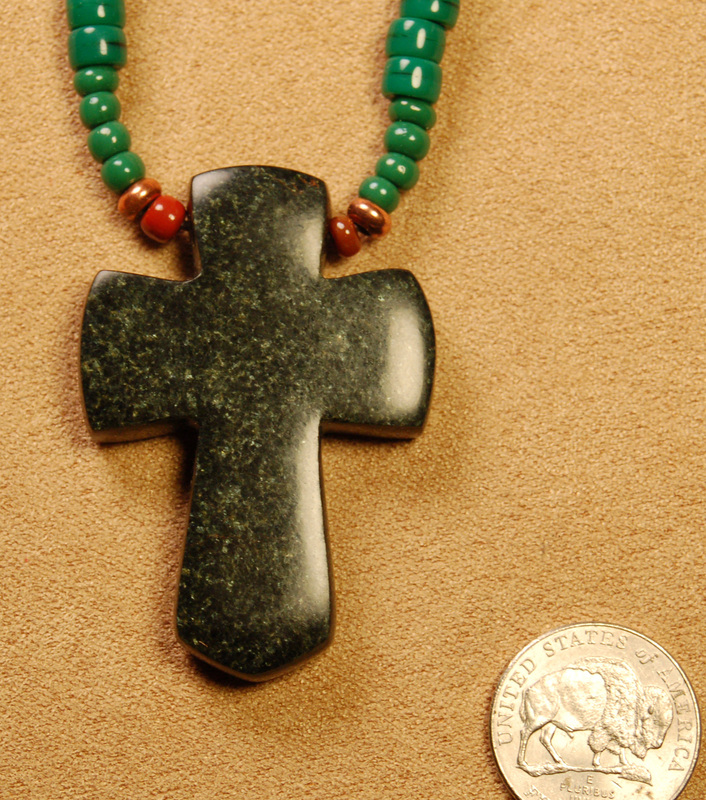 Hand Carved Ebony Sacred Pipestone with beautiful green flakes. Buffalo Nickel shown for scale. 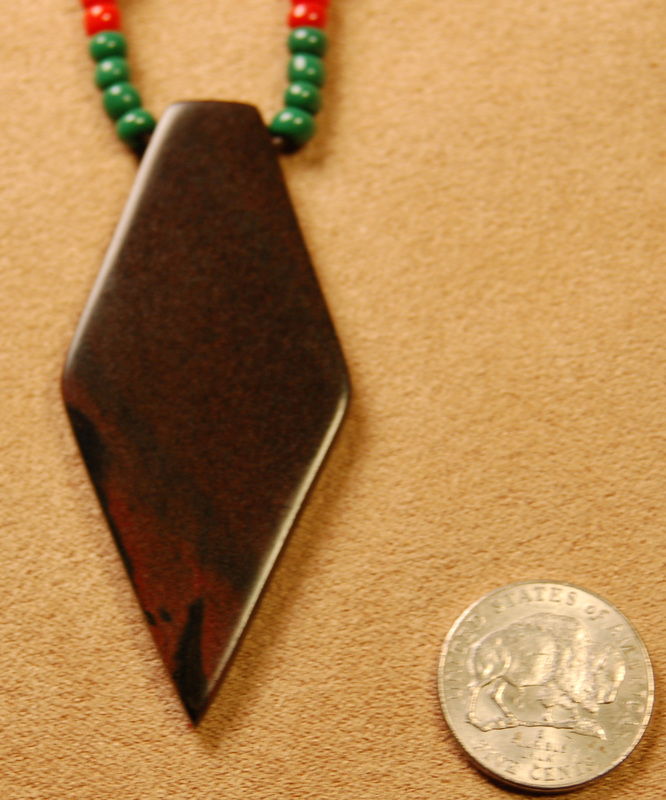 Ebony Sacred Pipestone with glass and bone beads. This beautiful hand carved ebony shines like the night sky!